Did you know there are only 10 Fridays left until Christmas? Yikes! Where is the time going!? Around Statue.com we start to think about the holiday season a little earlier. 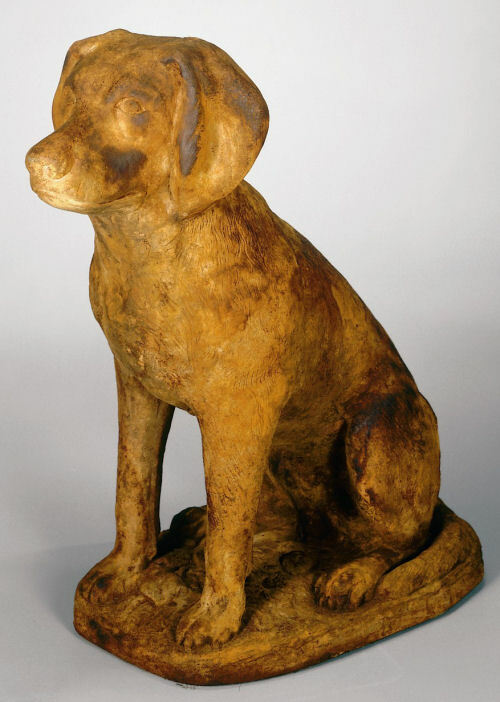 Quite a few of our sculptures are made to order. This means it takes a little longer for our items to ship but for good reason: great quality. 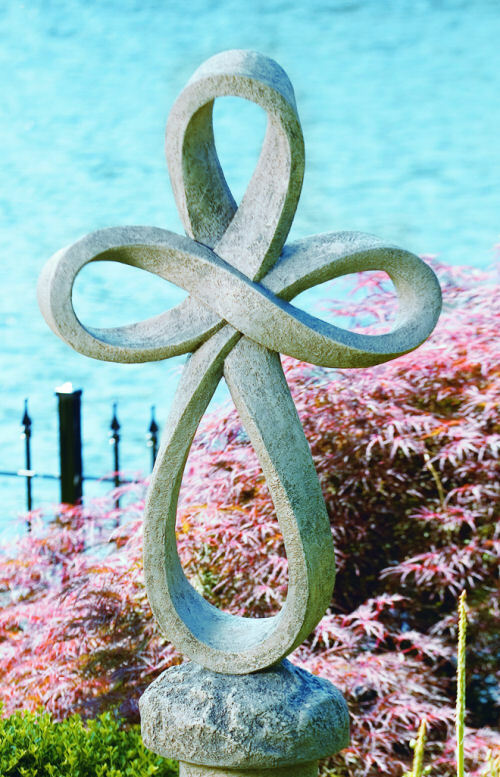 For example the Eternity Cross Garden Statue, a Statue.com favorite, takes 3-4 weeks to ship. If you ordered this statue today, you would receive it sometime mid November. While considering gifts this upcoming season we encourage you to consider the shipping time to receive your sculpture or fountain. Head on over to Statue.com to see other great gift ideas. If you have something in mind but cannot find it on the website, feel free to contact us. Our excellent products coupled with our outstanding customer service ensures Statue.com is the best business for statuary and other fine goods. Our excellent products coupled with our outstanding customer service ensures Statue.com is the best business for statuary and other fine goods. One of our favorite holidays at Statue.com is coming up. You’re probably thinking ‘Halloween,’ right? While it is true we do love Halloween, there is another holiday near and dear to our heart, Veterans Day. Every year Edwardsville, the town we are located in, hosts a Veteran’s Day Parade. We throw a big party at the Bohm Building, which is along the parade route, to celebrate and thank those who have served in the military. We are so grateful for those and their loved ones who have made this sacrifice. 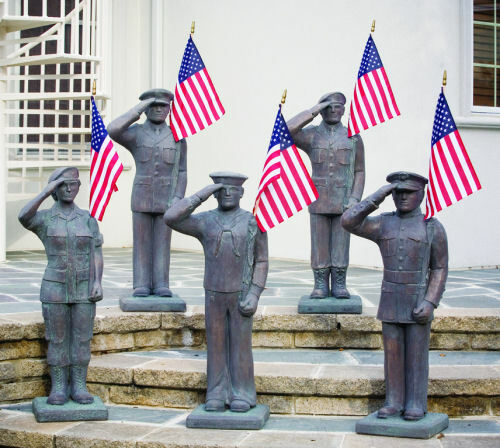 We are also very proud to offer a unique array of Military Statuary to honor those who have served. Our Cast Stone Military Sculptures are made in the USA, honoring American workers as well as service men and women. Our cast stone pieces are durable and will stand the test of time indoors or out. Head on over to Statue.com to see our entire collection of Patriotic Sculptures. If you have something in mind but cannot find it on the website, feel free to contact us. Our excellent products coupled with our outstanding customer service ensures Statue.com is the best business for statuary and other fine goods. The principles of winter fountain care are very similar to caring for your concrete garden statuary. You will want to fill the bowls of the fountain with absorbent materials such as Henri Underlay, burlap bags, blankets, etc. We also recommend covering your fountain with a fountain cover, such as a Henri Fountain Cover. In general you will want to avoid allowing water to collect and freeze in the bowls of fountain. 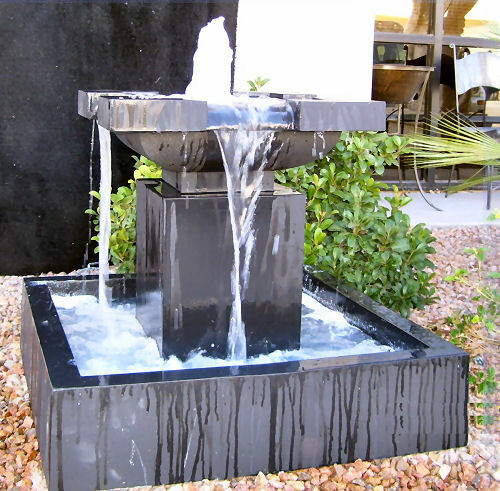 You will also want to avoid allowing the pedestal of your fountain to sit in frozen water. Another precaution we recommend with fountain winter preparation is taking out the pump and storing the pump inside. You can also use this as an opportunity to clean your fountain pump. To clean, remove front pump housing. Brush and/or wipe clean the inside of the housing and the pump’s inner face. Remove the impeller and shaft and rinse, using warm vinegar water or Henri Lime Remover to remove any hard water calcium deposits. Reassemble impeller and housing in reverse order. Take care not to open the sealed pump case protecting the motor. Also, avoid subjecting the pump to strong chemicals or harsh water conditions. Following these recommendations will ensure enjoyment of your fountain for years to come. Head on over to Statue.com to see our entire collection of fountains. If you have something in mind but cannot find it on the website, feel free to contact us. Have questions maintaining your statues, birdbaths and fountains please get in touch! Our excellent products coupled with our outstanding customer service ensures Statue.com is the best business for statuary and other fine goods. It has been downright chilly the past couple of days. As temperatures continue to get colder, it is time to start thinking about caring and prepping your concrete statues for that dreaded ‘W’ word, winter. Concrete is porous by nature. Think about what happens to sidewalks as water freezes. When this happens cracks form and get bigger as the water expands and contracts. For the most part, our fine artisans have taken the shifting of temperatures and conditions into account. Temperature alone will not harm the statues. Cast stone statues are composed of a concrete mix that contains fiber and mechanical additives which enhance the elastic qualities of the concrete. Nonetheless, Mother Nature is a destructive force and one must take caution when it comes to ice. If you live in an area that is prone to ice and snow it best to take sculptures and birdbaths inside. If you are unable to store indoors we recommend filling the bowl(s) of birdbaths and sculptures with absorbent materials such as Henri Underlay, burlap bags, blankets, etc. We then advise covering the entire sculpture or birdbath with a Henri Fountain Cover. The idea is that if condensation forms on the inside of the cover, it will be absorbed by the material adding another layer of protection. We also recommend not allowing pedestals and statuary to sit in pools of ice. Stay tuned for our next blog on getting your fountains prepared for winter. Head on over to Statue.com to see our entire collection of durable concrete statuary. If you have something in mind but cannot find it on the website, feel free to contact us. Have questions maintaining your statues, birdbaths and fountains please get in touch! Our excellent products coupled with our outstanding customer service ensures Statue.com is the best business for statuary and other fine goods.